The plan is for five bungalows, reduced from the original proposal for seven bungalows. 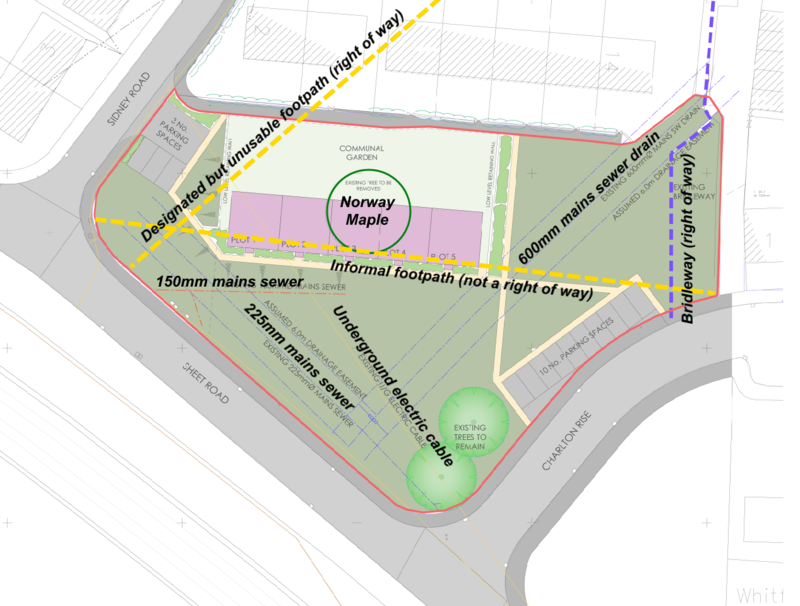 This scheme will lead to removal of about half the community open space between Sidney Road and Charlton Rise. All five bungalows will be social housing. The scheme involves the felling of two Norway Maples. One was felled in October 2016. At the time, Shropshire Housing Group (SHG) said its aim was to mitigate costs to allow its tenancies to remain affordable. 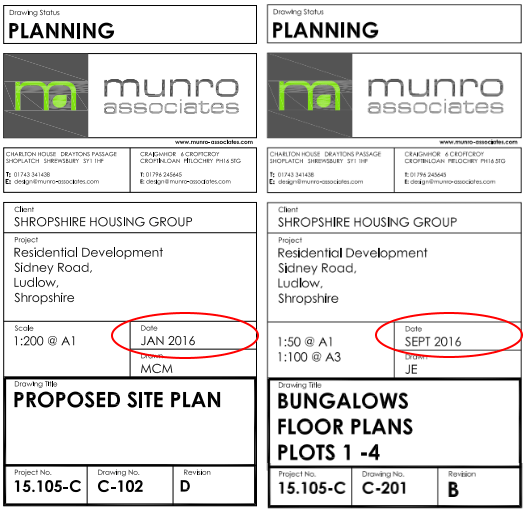 However, the date on the original site plans is January 2016 and the bungalow plans were drawn up by September 2016. So, it seems pretty clear that SHG had already formed a view that trees have had to go. To my knowledge, no arboricultural report was compiled for the felled tree, though planning officers say, “that particular tree was the largest and most attractive of the four” on the site. There have been 23 objections to the development and a petition signed by more than 70 residents of Charlton Rise. Shropshire Council’s highway teams raises concerns about how the tenants, likely to be elderly, will manage their refuse and recycling given the distance from the road. This is apparently being sorted out with SHG but we have yet to see the details. The council’s footpaths team require Footpath 17 to be diverted or extinguished before the development takes place. That is legally correct but this footpath hasn’t been used since the existing bungalows were built. It goes straight through 8 and 24 Sidney Road! There is confusion about whether this land is a town green (otherwise known as a village green). This is a legal designation that protects land from development until town green is lifted (and that’s hard to do). There is no doubt that this land would qualify as a town green but no one has made an application for town green status. An application cannot be made after a planning application has been submitted. The minimum space requirement for a one bedroom (one/two people) property is 50 square metres. A one person bungalow can be as small as 40 square metres. 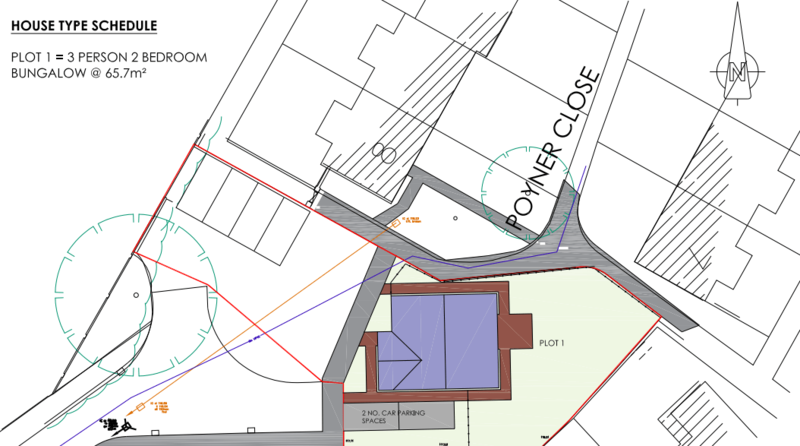 There is enough room to get a 50 square metre bungalow where the garages are. This would be the same size as the current social bungalows on Poyner Close. Indeed, the two social bungalows proposed originally were 49 sqm and 66 sqm. 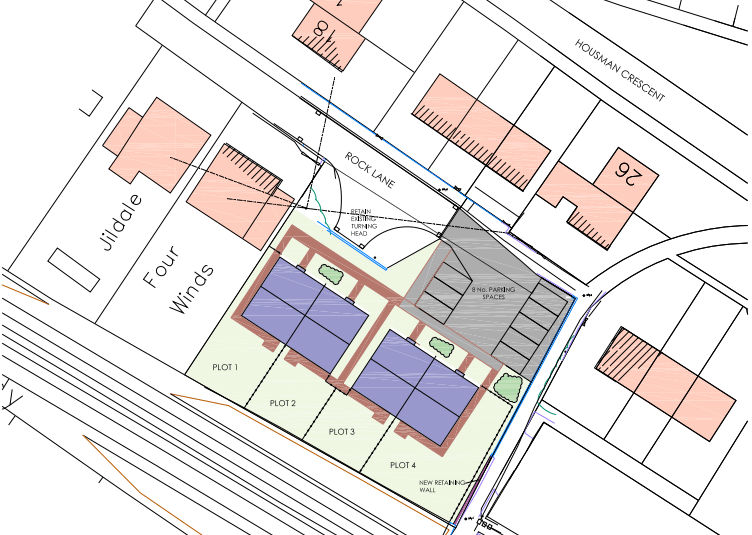 The plan is for four bungalows to replace the garages at the end of Rock Lane. One resident and Ludlow Town Council have objected to this proposal.
. My Ludlow flat is 52 sqm. That’s perfectly adequate for one man and his dog, and there are couples that live in adjacent flats. Is it not ironic that no one cares that 3 trees are being felled for yet more housing (without more infrastructure improvement of course, schools, doctors etc) yet one oak tree up on whitcliffe where there are hundreds upon hundreds and all hell breaks loose..
I’m hoping the parking situation at Sidney Road will be alleviated. Driving through Sidney Road towards Sheet Road, and vice versa can be a nightmare…especially if a bus is coming the other way…. I would much rather see the trees left as they are, and maybe just one quarter of the green space taken for sufficient parking for the residents of Sidney Road and their visitors.